Water is scarce in the deserts around Tucson. Conservation is central to Borderlands Brewing Co. operations. They save water in the following ways. Cut water use one-third by running hot water in the heat exchanger, through cool water in a rainwater harvesting system. Save rinse-water by adjusting pH to use it again, before putting it down the drain. I wasn’t expecting a discussion about mobile canning companies. Yet Myles offers great insight on using mobile canning systems for his craft brewery. Three years since opening, Borderlands Brewing Co. is already canning beer. Rather than buy their own canning line, Borderlands Brewing Co. hires mobile canning companies to package their product into beer cans. Mobile canning is becoming very popular for small craft breweries. After investing in all the normal brewing equipment, there is no capital left for luxuries like a beer canning system. There are now several mobile canning companies in the US. Usually their truck will travel wide, often spanning several states. Reservations must be made well in advance. A large truck will come with fully operational, mobile canning equipment, and package your product on-site. Check out the resources below and find out whether mobile beer canning is right for your craft beer. From Sean Myles: Is it important to allow customers to see the production facility? If so, how much do you let them see? What do you want to keep out of their view? Hot New Venture: Migrant Beer-Canning Expert by James R. Hagerty, The Wall Street Journal, August 21, 2014. Atlanta craft brewers look to mobile canning for wider distribution by Osayi Endolyn, Atlanta Magazine, August 14, 2014. Have Canning Line, Will Travel: The Impact of Mobile Canning by Russ Phillips of CraftCans.com, craftbeer.com, August 12, 2013. Goin’ mobile: Craft canning lines brought straight to your brewery door by Chris Crowell, Craft Brewing Business, April 23, 2013. Paul Benner had been operating his homebrew shop for 2 years before he opened Platform Beer Co., in Cleveland Ohio. Platform is a microbrewery and taproom. It is also an innovative* brewery incubator. Although business incubators are popular across the world and in a variety of industries—especially in technology—none exist solely to assist brewery startups. The program is free and, as you could imagine, there is already an extensive waitlist. “You can’t just take your six pack of an imperial stout that everybody loves and sell it,” says Benner. “You have to become incredibly leveraged, you have to open a brewery. And most people don’t have the business savvy, or the funds, or the resources, or even know where to start. * I wanted to say “first-of-its-kind,” but I found something online about The Brewery Incubator in Houston, Texas. Although it looks like it’s no longer operating. I was unable to confirm whether it ever got going at all. From Cory Waller: What’s your favorite beer to drink? 3 reasons you don’t need a business plan and 1 reason you do by Nathan Pierce’s blog, September 1, 2014. In 2009 Erich Allen had a “religious experience” the first time he went to a homebrew club. 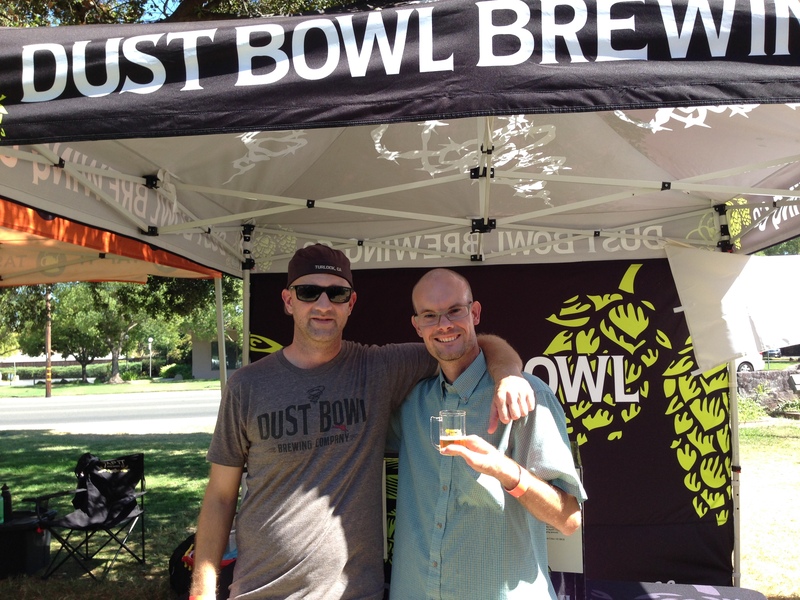 He started brewing all-grain batches and made 7 beers in one week. Soon he had a dream to open a brewery. Then it became his passion, and then his obsession. So he and his wife visited 48 breweries around the nation to get advice before they converted a photography studio at their home into a 3-BBL nano brewery: Studio Brew in Kingsport, Tennessee. Erich tells great stories. He takes us on the long journey through the many permitting agencies. At first it didn’t seem possible to have a brewery at his home. But by working with the staff at the permitting agencies, they found a way and did it all working with the system. 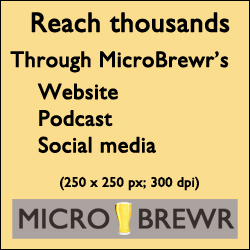 From Mel Troha: Is a nanobrewpub always easier to start and sustain than a production nanobrewery? 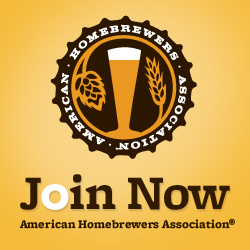 Tri-Cities Beer Alliance homebrew club. State of Franklin Homebrewers homebrew club. Grain & Vine Design Studio, FMD Architects. Brewed For Her Ledger, LLC Accounting, finance, operations strategy for the beer industry. Patty Elliott met her husband at Armadillo Music Hall. Years later, even while running their export business, they saw an old hardware building in their town and decided it should have a brewpub in it. So they started Pecan Street Brewing in Johnson City, Texas. While they spent 3 years renovating the building, their son, Sean, practiced brewing. They strive to make Pecan Street Brewing a “third place.” A third place is a place other than work or home, where people can spend a large amount of time and feel just as comfortable as at the other places. From Christopher Kirby: What’s the best beer you have ever had? The Great Good Place: Cafes, Coffee Shops, Bookstores, Bars, Hair Salons, and Other Hangouts at the Heart of a Community by Ray Oldenburg. How India pale ale conquered the world by S.W., The Economist, May 13, 2014. Cathy Smith and her husband opened Philipsburg Brewing Company in Philipsburg, Montana. They found a cool, old building, built in 1888, spent a few years fixing it up, and hired Mike Elliott to be their pro-brewer. In August 2012, Philipsburg Brewing opened to a crowd of about 100 people—and that’s in a town with a population of about 850! None of them had ever owned a brewery before, but they’re business is doing fantastic. They say that their biggest mistake was not being ambitious enough. They currently are operating a 10-BBL system, and are planning to expand to larger facility with a 50-BBL system within a year! Cathy tells us why they walk customers to the door. Mike tells us about his invention for the bar. “People will let you pick their brains to a surprising extent,” adds Mike. You won’t guess their answer to the question, Cans or bottles? They have some great thoughts on the dilemma. From Adeen McKuin: What’s your favorite beer? Microbiology textbook from the university bookstore. It’s a Wonderful Life (1946) movie. A River Runs Through It (1992) movie. 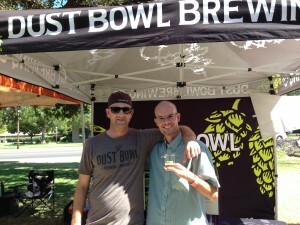 California Common / Steam Beer style described on Beer Advocate. In this episode, I talk with Chris Goulet from Birdsong Brewing Company, in Charlotte, North Carolina. Chris and some friends were so impressed by 21-year-old homebrewer, Connor Robinson, that they started a brewery to showcase his beers. Birdsong Brewing Co. was just the fourth production brewery in Charlotte. Although they have been operating less than 3 years, they’re making award winning beer using customers’ ingredients, and they’re leading craft beer in the Charlotte metropolitan area. Birdsong will soon expand into a larger facility with a brewhouse 3 times the size of their current one. “Happy staff make happy beer,” says Chris. So they used lessons learned, to design floor space for efficient workflow. Chris tells us the story of their award-winning Mexicali Stout. One of Birdsong’s regular customers, Jason, brought in a bunch of peppers from his home garden. The “talented, secret genius brewer” threw them together with locally-roasted coffee to make what would become one of their most popular seasonal beers. From Erik Cotten: Is it local? Ben & Jerry’s: The Inside Scoop: How Two Real Guys Built a Business with a Social Conscience and a Sense of Humor by Fred Lager. Brew Like a Monk: Trappist, Abbey, and Strong Belgian Ales and How to Brew Them by Stan Hieronymus. Pintful: Sierra Nevada new NC brewery prepares for it first batch by John Frank, October 8, 2013. Saison ales growing in popularity, May 27, 2014, Peter Lopez. If you like the show, please subscribe in iTunes or Stitcher. When you subscribe, it’ll let you know when there’s a new episode and you won’t miss a thing.